James Franco is a busy and multi-talented dude. 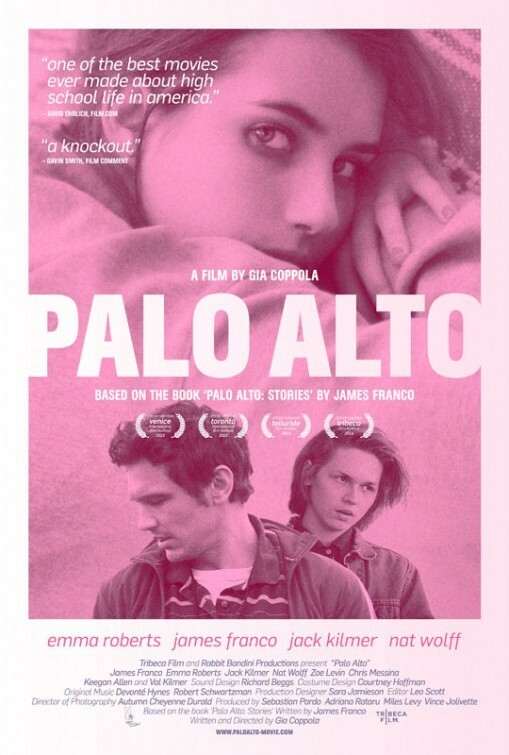 He will soon be starring in Palo Alto (2014), an adaptation of his own collection of short stories directed by Gia Coppola. Films based on short story collections seem to miss the mark a fair bit, but this seems to have a fair bit of promise. I am a fan of Franco and Emma Roberts has impressed me in a couple of things as well. The trailer looks good and it may manage to bring something original to the teen, coming of age film which would be really refreshing. Who knows how it will turn out, but at this stage, I am pretty keen. Thoughts all? Related beermovie.net articles for you to check out: Spring Breakers and Trailer for your Weekend: The Double. Awesome, thanks for the tip off. I was not really familiar with Gia, so will see if I can track that down as a little intro. Much appreciated. LOL, sorry, but it did nothing for me. Glad I could bring this to your attention man. I really didn’t enjoy the book that this is based on, but the trailer looks really promising. Looking forward to seeing it! Yeah I have not heard of anyone who enjoyed the book as yet. I am a big fan of Franco, but I haven’t actually been bothered to pick it up. I read one of Franco’s short story collections and it was the worst things I’ve ever read. However, this actually looks alright. Emma Roberts looks like she’s on top form in this one. Haha. Everyone is hating on Franco’s short stories. I never got around to checking them out. Maybe not such a bad thing. Yeah fair enough. A very inexperienced choice.